A pickup truck apparently ran a red light and struck a Metro Local Bus on Monday evening in Burbank, resulting in two riders and the bus operator being sent to the hospital. After being hit, the bus also struck a third vehicle. Police described injuries as mild to moderate. As some of you may already know, Metro is studying whether there’s space for a Red/Purple Line Arts District station near the western side of the new bridge. Here’s the most recent staff report. Speaking of…. As part of the Purple Line Extension project, Metro needs to expand the subway vehicle maintenance yard in the Arts District — as the subway will be needing a lot more rail cars (assuming everyone wants frequent service). Metro plans to add a new building to the existing yards and that would be just north of the 6th Street Viaduct. Metro officials considered several sites for the maintenance facility, said David Mieger, the agency’s executive officer for transit corridor planning. Metro needs to build the project so that it can knock down older maintenance buildings near the One Santa Fe apartment complex, he said. The freed space would be used for construction of a “turnback” track to allow trains to flow into the maintenance facility and then reverse course back toward Union Station. Mieger said that some concessions are being made, including moving the building 28 feet back from the property line and moving the fence back. He also said the agency is willing to collaborate on a more “architecturally sensitive” design on the façade facing the bridge. Regardless of what changes are possible, pursuing an alternative location for the project does not appear to be in the cards. Metro expects to move ahead soon with its construction bid, Mieger said. In the future, he added, the agency hopes to create a light-rail spur in the Arts District down along the L.A. River. That, Mieger added, could stimulate more growth in the neighborhood. Bar-Zemer and the others pushing for an alternative site will continue communicating with Metro with hopes of changing the plan. It’s a tough issue as there is only so much space and moving the Red/Purple Line yards is not an option — and it’s hard to argue the enormous benefits of linking the Arts District to the rail system. Eledy Vargas. Photo by Zocalo Public Square. The latest in Zocalo’s ongoing series of Metro rider profiles. Yes, it’s drier than a drought in the Sahara Desert, but important nonetheless. Metro and other transit agencies rely on federal dollars for a variety of needs, including building new transit projects. Watch the video, then ask yourself whether Europe and the U.S. actually exist on the same planet. Is the LRT the metro rep is referring to the West Santa Ana line? The arts district pushback on this is as exasperating as it is expected. I believe the West Santa Ana line is mentioned in the staff report along with high-speed rail, among other projects. The Arts District can’t be allowed to NIMBY this critical piece of infrastructure. There are plenty of places Downtown where parks could be built but only one realistic place to expand this rail yard. Also, the link to that article is broken. Link is fixed. Thank you! Like I said, LA is facing land space problems. LA can’t get anything done when people both left and right are so selfish that they say no to any kind of development they don’t like for whatever reason. We need to start accepting the reality that people will have to start living in higher density life, close to factories, maintenance yards, construction sites, high rise commercial skyscrapers, etc. etc. and make land use more efficient. We are way past the era of wide open land abundant land spaces. The rest of the world has learned to cope and live with such restraints of land, LA needs to adapt to the same lifestyle. If people do not like that idea, they are free to move to other wide open areas in the rest of the country. If it expires, it’s not the end of the world for mass transit. It will kill off public mass transit, but in place, privatized mass transit will start emerging. If the end of the government monopoly of providing mass transit services comes, it means it’ll open up the protected market to the free market and let competition take their own course. It’s not like the concept is strange and unusual; it’s the norm over in Asia and mass transit was once privatized here in the US too. Change can happen for the better once the mass transportation market is opened up to free enterprise and competition. Metro and other transit agencies’ excuse until this time was that “there’s no profit in mass transit.” Yet, when startups and private enterprises find out a way to start transit services on their own, competing with each other and taking away some market share away from public transit, the first thing government does is try to shut them down. Why? Are they afraid of competition? Is it because they know privatization and competition works better and it’ll lead to loss of their own public sector union jobs? Another one of those “safety” concerns that is used so often these days? There will be less animosity against mass transit or mass transit projects if it can be done without tax dollars. If a company can figure out a way to run mass transit on their own out of their pocket, for profit, with competition to bring prices down for the benefit of the consumer, what’s the problem? Remember when cell phone calls were over $2.00 a minute and was an exclusive form of communication mainly for the rich and the elite? The free market and competition reduced that to $0.10 per minute by today where now it’s cheaper for people to just cut the landline and go wireless only, where the vast majority of Americans now having a cell phone. If government ran cell phones, faced no competition and private cell phone companies did not exist, cell phone rates would be like $3.00 per call, regardless whether you call one minute or one hour and still be a form of communication reserved only for the elites. The problem with for profit mass transit is that it will be worse for those who need it most. Also most of the entities you mentioned above are subsidized by the public because they use roads and none of those listed have the capacity to move large number of people into major working areas. Look what happened to the bay area without BART; millions of people ride mass transit in LA and that’s going to put extra strain on our already maxed out road capacity. Scale is important almost everything we are talking about and the large scale mass transit provided privately is found in Asia. But if you want to use the Asian countries as an example make sure you understand a lot of the money in those “private agencies” is from a government partner who is part of the group acting in the role of private partner. Also understand, many Asian countries use value capture techniques which likely wouldn’t fly here in the US, with that land provided to them by you guessed it the government. And who are the ones that need it the most? And what are their transit patterns on a frequent basis? I highly doubt they have a need to go from East LA to Santa Monica on a constant daily basis, as opposed to going from their ever increasing rental apartments to a minimum wage earning job within a five mile radius. I highly doubt they are living in a suburban home either and have first world problems like oh no I have to face rush hour traffic in my BMW and cannot get to my $50,000+ cushy office job in DTLA either. For profit mass transit will likely end up using a more proven profitable fare model, such as distance based fares (pay less for shorter trips, pay more for longer trips), as it is the norm with privatized mass transit corporations in Asia who manage to achieve 100%+ farebox recovery ratios, far higher than any US transit agency can achieve. In contrast, the supposed best we have in the US, the NYCMTA makes a paltry 50% farebox recovery ratio (compare also with HKMTR, similar size as NYC, similar population, similar density, similar transit ridership, manages to achieve 180% farebox recovery ratio – apart from their real estate revenues, again, you may look that up on HKMTR’s corporate profile), has fares of $2.50 and always keeps asking for fare hike. Flat rate fares is an unsustainable model without taxpayer support and is still vulnerable to fare hikes, service cuts, and tax hikes, and is highly unlikely to be used by privatized mass transit corporations and barely anyone uses it outside of government monopolized transit. These statements of facts were made by former Metro CEO Art Leahy himself back in March 2014 on public record at the Metro Board meeting. If anyone who knows something about such data, it comes directly from the mouth of the former head of Metro so you cannot dispute his words. The poor do nothave a frequent need to travel from Sylmar to San Pedro or from Venice Beach to Azusa. They’re immediate needs are paying for shorter trips that occur frequently like going from Koreatown to DTLA or from East LA to DTLA. They actually will benefit from privatized mass transit, who will likely end up moving to distance based fare models, which lower the price of transit for shorter (frequent) trips while increasing the fares for longer (infrequent) trips, rather than the current model where prices are the same whether one goes from Culver City to Pasadena, Long Beach to DTLA, or just few blocks away to the neighborhood grocery store. If you would like to argue that is not the case, I suggest you look more deeply into how the fare models work in systems that are more profitable, are privatized, and have much higher farebox recovery ratios than Metro. You’d be surprise that they all run a distance based system, a fare system that ranges from $0.50 to $5.00 depending on how far one goes. What you think happens, is not the case when you research the matter. You may wish to Google search the term “eminent domain Narita” and find all sorts of issues regarding how the Japanese government had all sorts of legal issues, one that’s not resolved even today, to build an international airport on the outskirts of Tokyo. Care to re-analyze your assessment that “land is provided by their government” in Asia so they have it easier? Please no more comments. You have left two very long ones on this post already. If you think about it, this argument often used by liberals is very odd. Should we let government monopolize the auto industry because they all drive on roads? Should we let government monopolize the oil industry because the pipelines were built with congressional funding? Should we let government monopolize the airline industry because they all use airports? Should we let government monopolize the ship industry because they all use seaports? Should we let government monopolize agriculture because groceries are transported over roads? Should we let government control everyone’s paychecks because government prints the money? Should we let government have complete control over telecommunications because the satellites were launched by NASA? Should we let government spy on you because the NSA had the authority to do so under the Patriot Act? Just because one aspect relies on public subsidies (roads) doesn’t justify that a specific market (mass transit, etc.) should also be under government control. On the other hand, one could argue why should the good people of Los Angeles be restricted to one single government monopoly than opening up the market to healthy competition between public and private transportation services? If Metro workers go on strike and puts a screeching halt to Metro services, wouldn’t it be in the best interest of the consumer to have a competitor onboard? That’s what can happen today. Metro union workers can demand from taxpayers that they all get $100,000 a year in salary and if they don’t get what they want, they go on strike. Who loses? The public, because they have to cough up by giving into their demands or not get Metro service. I don’t see much difference in that as opposed to Congress giving out regulatory favors to oil companies and auto makers, Sacramento politicians currying favors to liberal causes, Los Angeles reducing taxes to help support Hollywood, NIMBYs abusing CEQA to prevent construction of the CAHSR project, state governments passing right to work laws to promote job growth within their states, legalizing NSA spying on the basis of the war on terror, actively seeking out war and “nation building” to promote the military-industrial complex, etc. etc. Rules can be bent, changed, and altered the way it can best work out with or without the public consent. Why should mass transit be any different? It’s not like they’re not already doing it; they rename station names after politicians, they waste money on art projects, the hypocritically have a parking lot for themselves at Metro Headquarters, they raise fares, make service cuts, go on maintenance, don’t give out information, the list goes on and on and on. Why would you want to trust government to be in charge of mass transit, let alone monopolize it? LAX Frequent Flyer, you are certainly entitled to your opinion about private vs. public transit. However, I personally know from experience how chaotic, unreliable, and dangerous privatized transit systems can be. I lived in both Ecuador and Chile for years at a time in the 90s and early 2000s, and in those countries there were countless privately run bus companies that would compete for passengers on the streets as if they were in the Indy 500. In Chile, buses would race pass one another to try to get to the next bus stop first, in order to pick up passengers. They would make random stops anytime they saw someone that might look like they want to get on the bus. And because they had ‘competetive’, profit-driven bus systems, the streets were absolutely clogged with buses much in the same way that NYC is clogged with taxis. On numerous occasions in Ecuador, I asked to be let off the bus, because the privatized, unregulated bus drivers had no regard for safety and would drive like maniacs. Furthermore, in Ecuador, due to deregulation and privatization, the bus drivers would cram people onto the buses in every which way, including on the roof of the bus! Farm animals were allowed on the buses, drivers would often play very loud music, and traveling sales men of all sorts would ply their wares on the bus. Yes, this might be charming to a tourist; however, is that the kind of system you want for our country? These private, under-regulated systems are no cheaper than Metro, had much poorer service, and were far, far more dangerous. I would often see buses get into accidents, and I myself was in a couple of bus accidents in Chile. I much prefer one publicly-run transit system, managed by one not-for-profit, tax payer-funded entity, which provides fantastic, safe service at a very reasonable price. Kudos to Metro! Long live Metro! Here’s an example of an American private bus called Leap, which started in San Francisco this year. Yeah, that’s what a privatized bus in America looks like that doesn’t run taxes. Suffice to say, I don’t see overcrowding with people on the roof of the bus or farm animals on them either. I’d rather have a choice, freedom to pick to ride public transit or private transit. I’d rather see competition going on that having government monopolize the market. This is a free country, that’s why you came here. You too should have the freedom to start your own bus business and pursue your own goals of achieving the American Dream should you feel like it, free from government regulations. This is the land of opportunity, why would you want to support those who take that opportunity away from you? If you decide to start your own bus business, you’ll realize Americans have high standards for safety and cleanliness so what works as private bus services in Ecuador and Chile will not get you anywhere here. No one is going to pay for stuff that’s worse than it is today with our public transit system. People here want to pay more for things like cleanliness, safety, relaxation, high tech stuff, and hipster cool things. You are free to start your own business, but you have a lot of market research to do if you want your business take off. Suffice to say, I doubt Americans want private buses similar to ones in Ecuador and Chile, but would gladly pay more for stuff like Leap instead. This is at best, an unsubstantiated argument backed by nothing. How do you know that will be the case? We never truly have had public vs. private mass transit competition going on competing on the same level so you can’t say for certainty that it will be worst for those who need it. If anything, past history has shown us that competition drives changes for the better for the consumer. But you can’t have competition going on when government over-regulates the system and says that only government can run transit. Up north in the Bay Area, we’ve already started seeing some of that taking shape. 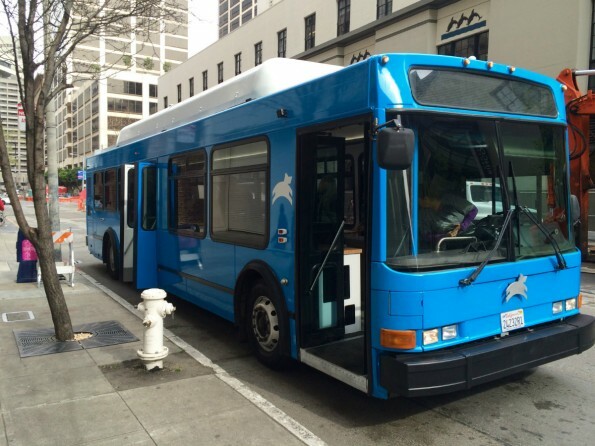 Leap is a privately run mass transit bus that offers bus services for $6, a reasonable price that some riders might feel attractive over poorly run MUNI. It runs without tax dollars, no portion of your paycheck is being used to run it, it’s run for profit, it caters to a specific market, it offers an additional choice other than the car, it helps reduce cars on the road, it is mass transit because it moves more people than a single driver, so why should people be against it? Because it’s privately run and they are for profit? Dude, last time I checked, people need stuff to eat to survive much as people need transportation to get where they are going; I don’t see government controlling a monopoly on grocery stores and there’s competition going on between Ralphs, Vons, and Albertsons in my neighborhood; all of them private companies, and I have no grudge against these private companies where I buy my food from. So it competes with SF MUNI, big deal. SF MUNI still is running with tax dollars, it’s still the market leader, it’s still is in existence. What you have is two mass transit systems, one private, one public, competing with each other. I certainly don’t see any problem with it. 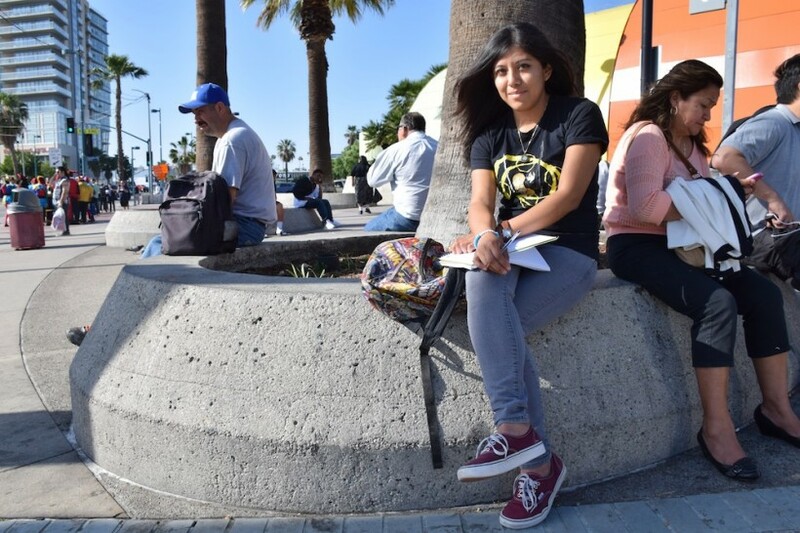 Nothing more different choosing to go to a private university (USC, Loyola Marymount) or a public university (CSUN, UCLA). If some startup backed by venture capitalists wishes to run mass transit on their own, without taxpayer dollars and wishes to compete with government run public transit, let them. There’s no good reason why there shouldn’t be competition going between public and private mass transit. If someone has a great idea on how to run mass transit without taxpayer support and can run on profit, there’s nothing wrong with the idea. This is an even worse argument to make and I have no idea where you’re trying to get at. Are you suggesting that private entities that rely on public roads should not be allowed to exist, there should be no competition and instead, they should handover their business prospects over to the government? Let’s put your argument to context. I buy a something from Amazon.com. I have Amazon Prime subscription to get free two-day shipping and Amazon decides to ship next day by UPS, FedEx, Ontrac, DHL or USPS depending on who Amazon sees is the fastest two day shipping courier. Healthy competition going on between UPS, FedEx, Ontrac, DHL, and USPS on who gets the “job” in delivering my stuff from Amazon to my address. If your argument states that UPS, FedEx, Ontrac, DHL, and USPS all relies on uses of public roads to deliver my goods, then there should be no competition, UPS, FedEx, Ontrac, and DHL should not exist and the only sole monopoly to deliver my goods should be USPS. If USPS is the sole monopoly carrier, then there’s no choice for Amazon to deliver my goods to me, USPS can decide how slow/fast to deliver my stuff and whatever amount to charge for shipping because there’s no other competitor, and I have no reason to have an Amazon Prime subscription. I agree, more choices and more competition is better. Who says only government should be able to run mass transit? 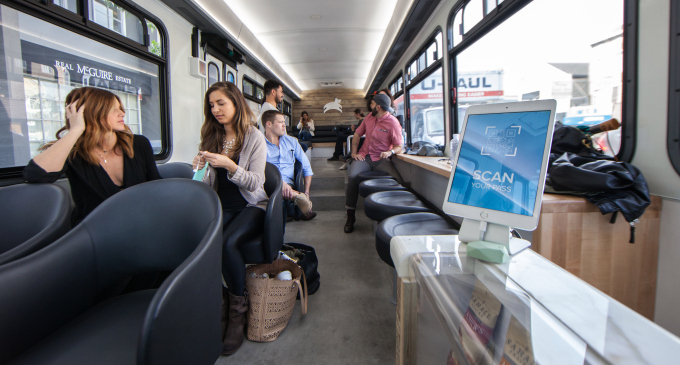 If some IT startup thought up of a better way to run transit on a piece of paper in a dorm room in UC Berkeley or Stanford, they should be encouraged to go into business. Many smart people developed new ideas and new ways to do businesses that way, from Steve Jobs, Google and Facebook. Look what they’ve did to the California economy. You need to encourage innovation and new business ideas, not discourage them. Government does not run on the interests of the people. They run on the interests of the people who vote for them. With Democrats in charge, that means public employee unions are their biggest supporters. Anything that may end up hurting the public employee unions (the horror, the people will realize they don’t need taxes to run public transit! ), they will oppose it and throw everything at them to stop them from damaging their job security. And I lived in Fukuoka for about 10 years and in Japan, privately run bus companies were run orderly, always on time, and were clean. Since you’ve failed to state some visual examples, I will show mine. One cannot simply say “if privatization happens, it would happen like Ecuador or Chile” as the sole possible outcome when it can also become like Japan. One cannot say for certain which way privatized mass transit in the US would go towards, but the probably outlook is that the US is a first world nation, the likely outcome is a more civilized privatization along the lines of Japan. Strawman argument. The inability of the governments of Chile and Ecuador to enforce common sense regulations to privately owned businesses is no concern to the US and its states. If one were to provide the other example, such as Japan, privately run bus companies must adhere to laws as any other businesses operating in Japan. It gets no free pass in speeding or any other traffic laws as any other vehicle on the road, they cannot break safety laws, buses must be properly registered, bus drivers must be properly licensed, and go through a significant background check. Considering that the US has laws that applies to businesses, privatization of buses will not mean suddenly buses will start speeding or breaking laws either. Furthermore, the US already has privatized buses in forms of Greyhound, Megabus, Bolt Bus, and Peter Pan services primarily over in the East Coast who fall under the same regulations as any other transportation laws, whose own bus drivers too must be licensed and buses registered with proper maintenance checks. They need Department of Transportation licensing, they need business licenses, they need to follow labor laws, and safety requirements. If in such that privatized mass transit occurs in the US which competes with public transit, regulations will apply to them much as any other business. The failures of Ecuadorean or Chilean government policies to enforce tough regulations toward privately run buses is a political decision of their own respective governments, and it is highly unlikely such regulations will be removed here anytime soon. Irrelevant in most major US cities. If the American transit riders would rather like peace and transquility onboard buses, competition would naturally move in that direction. Bus company A plays loud music, company B gives peace and quiet. Company B gains more passengers and becomes more profitable, Company A loses customers and goes into bankruptcy if they fail to change to customer demands. Already occurs on our Metro system today and they are operating illegally without proper business permits and are not collecting sales taxes. The activity itself is illegal in the US today without proper business licenses. Cannot ask a question when you provided your own examples of privatization in Ecuador and in Chile, yet disregard privatization examples in Japan. Two possible outcomes, vastly different and it’s anyone’s guess what happens. You maybe pessimistic due to your own experiences, I maybe optimistic based on my own experiences. There are always pros and cons to everything, but nothing can be certain unless given a chance to try. Alternatively, it would also be best that you see and experience yourself how privatized mass transit works well in Japan as well as I go see and experience how privatized mass transit works bad in Ecuador and in Chile. And we gather the data and information, analyze the differences on what went right in Japan, what went wrong in Ecuador and in Chile, compile the results and work together to find a proper solution that might best work for privatization in the US. I would say that is a far more rational and logical, a more scientific way of deciding things than something based on assumptions. The opposite end of that per basis of a first world country like Japan, and likely in a well-regulated society of laws and another first world country like the US is that private companies will be a little more expensive than Metro, but will provide better service and adheres to laws just as any other business operating in the US. We disagree then that I prefer a society that provides me with different choices, a system that gives me both a publicly run system competing with a privately run system and letting the market decide for itself which one works better. A competitor to Metro should be allowed to directly compete with Metro services. Not like there’s already public agencies already competing in certain markets anyway, where at times Torrance Transit can also run the same route as a Metro Bus, or a Metro Bus runs a similar route that competes with the Santa Monica Big Blue Bus. If competition is already occurring between public transit agencies, it’s more than fair to say that a private bus operator cannot as well. Please keep your comments shorter so that people may want to read them. I read them. If the arguments and rebuttals are valid, backed by examples, facts, data, comparative and logical analysis, I love to read them from all points of views. It expands knowledge and provides a better perspective on things. It’s far more scientific and educational than just based on “feelings” which can be affected by irrational and illogical thoughts. Today, I rode the Expo Line from La Cienega/Jefferson, transferred at 7th/Metro to the Purple Line and got off at Sunset/Vermont. The whole trip cost me $1.75 oneway. And I got free parking at the La Cienega/Jefferson station to boot. I felt bad that I’m only paying $1.75 for such a long trip from La Cienega/Jefferson to Sunsey/Vermont, when I saw many poor people having to cough up the same $1.75 to ride the Purple Line only one or two stations. Why is it that the poor have to subsidize the rich? I am more well off, I will be glad to pay for parking at the La Cienega/Jefferson station and pay more for my trip because my trip is farther than most of the riders. If well off people like me who cam afford a car, takes advantage of free parking, and is riding on the subsidies of the vast majority of the poor who do not travel longer distances agree that we need a fairer fare system, shouldn’t we look at moving to distance based fares? 7th/Metro to Sunset/Vermont is the Metro Red Line, though it’s understandably that you may have mistaken as they share the line between Union Sta. and Wilshire/Vermont.